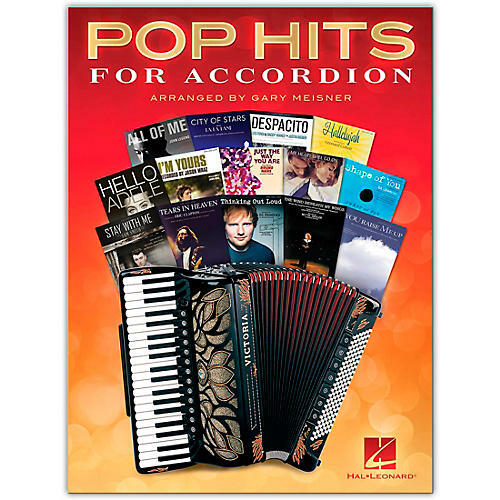 14 contemporary hits thoughtfully arranged for accordion, including: All of Me · City of Stars · Despacito · Hallelujah · Hello · I'm Yours · Just the Way You Are · My Heart Will Go on (Love Theme from 'Titanic') · Shape of You · Stay with Me · Tears in Heaven · Thinking Out Loud · The Wind Beneath My Wings · You Raise Me Up. Make progress expanding your repertoire. Order today.